The Montefalco Rosso from Tenute Lunelli in Umbria has obtained “Tre Bicchieri” with vintage 2016, the most important award of Guida Vini del Gambero Rosso 2019. “Absolutely at the top; Ziggurat, a Montefalco Rosso 2016, obtained mainly from Sangiovese and a blend of international grape varieties. Cherry, blackberry, undergrowth and tobacco anticipate a taste with a fresh, mellow, crispy, tasty, complex and deep flavour”. 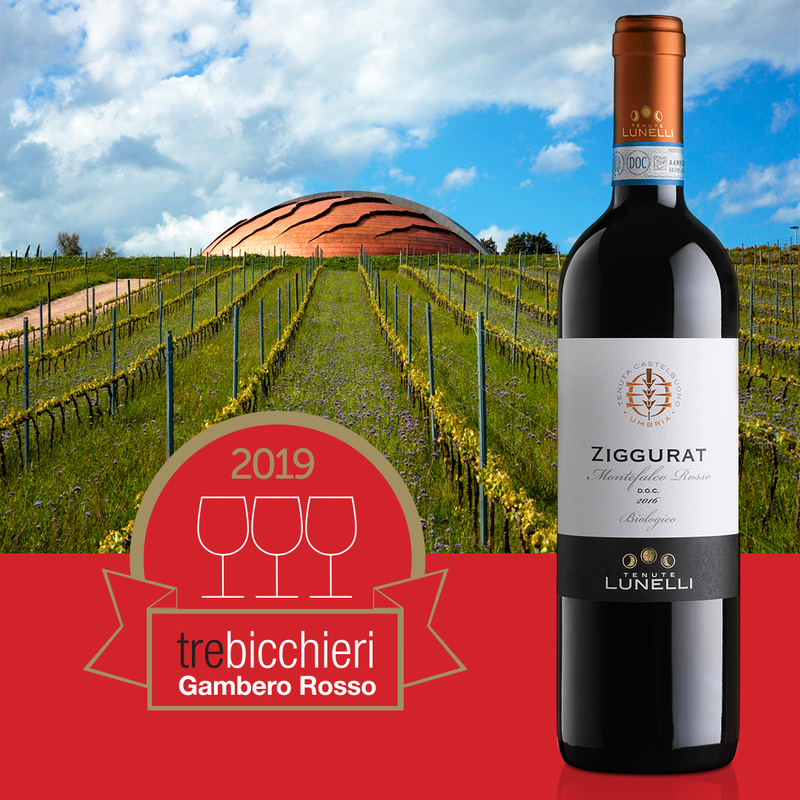 This is the reason why Guida Vini del Gambero Rosso 2019 has bestowed Ziggurat 2016 with the so coveted award “Tre Bicchieri”. A combination of the power of Sagrantino and the elegance of Sangiovese, Ziggurat expresses all the charm of a region with ancient traditions such as this corner of Umbria. A land with an ancient history and an authentic spirit, which inspired Maestro Arnaldo Pomodoro to design Carapace, a sculpture-cellar where all the wines from Umbria of Tenute Lunelli take origin. Alessandro Lunelli celebrates the success with these words: “This is a fantastic result for which I would like to thank a wonderful team. First of all Luca Capaldini, who has been managing with great dedication the estate since 2015 along with Corrado Dalpiaz, who has given birth to Tenuta Castelbuono, developed and coordinated it for many years. And of course Marcello Lunelli, my cousin, Lunelli’s Group Technical Director, who together with my father Mauro, founded from nothing Tenuta Castelbuono almost 20 years ago, developed it and gave to the estate the wonderful Carapace. I would like to thank also Patrizio Gasparinetti, who has been advising daily Luca Capaldini in the management of the vineyards. Last but not least, Luca D’Attoma, who has created this winning wine and other amazing labels in Umbria and in Tuscany”. From Tuscany and from D’Attoma’s flair, a new wine from Tenute Lunelli is born: Auritea, a Cabernet Franc produced in Tenuta Podernovo, on the Costa Toscana, which will be presented in Milan on October 8 and aspires to enter the world’s best wine guides.